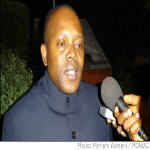 With the imminent publication of partial DRC legislative election results, scheduled for this Friday August 25, we spoke to Independent Electoral Commission President Fr. 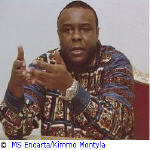 Malu Malu, to get his views on the recent unrest and the current state of the electoral process in the DRC. 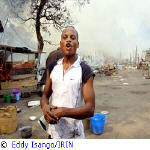 At least 66 people had been killed and wounded during three days of fighting in Kinshasa, the Congolese capital, between forces of President Joseph Kabila and Vice-President Jean-Pierre Bemba, the minister of interior said on Friday. 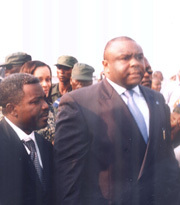 MONUC's mediation with presidential rivals Joseph Kabila and Jean Pierre Bemba continues today, as the situation remains calm in the capital and daily activities resume. 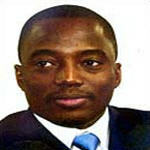 Joseph Kabange Kabila, 35, is president of the current transitional government in the Democratic Republic of Congo (DRC) and stood as an independent candidate in national elections, held on 30 July. A U.N.-brokered truce between fighters loyal to the Democratic Republic of Congo's two remaining presidential candidates appeared to be holding Wednesday. After three days of fighting between men loyal to the incumbent president and a former rebel leader, a relative calm returned to the capital. 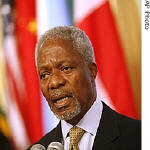 U.N. Secretary-General Kofi Annan is urging the Democratic Republic of Congo's two leading presidential candidates to meet immediately to end fighting between their supporters. 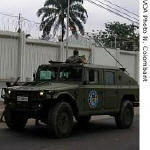 The European Union says it rushed in three helicopters and 50 Special Forces soldiers from Gabon Tuesday. Its spokesman says he expects up to 500 more troops to arrive there soon. 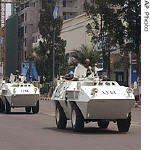 These will add to the 1,000 European troops who are supporting the United Nations' 17,000-strong peacekeeping mission in Congo. 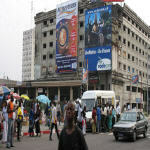 Fighting in Kinshasa, capital of the Democratic Republic of Congo, may have broken out because the results of the 30 July election, announced on Sunday, took supporters of President Joseph Kabila by surprise, analysts said on Tuesday. 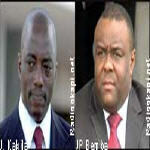 Presidential frontrunners Joseph Kabila and Jean-Pierre Bemba of the Democratic Republic of Congo will have to make political alliances to win the run-off election due on 29 October, analysts said.